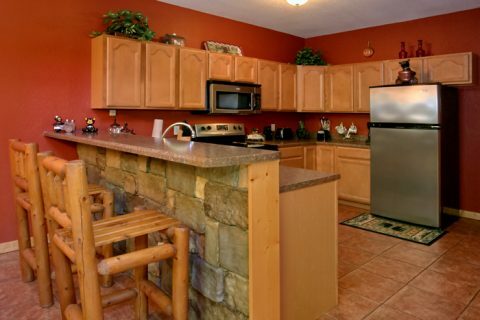 "Pigeon Forge Hideaway" is a lovely log cabin rental close to Dollywood Theme Park and Downtown Pigeon Forge. 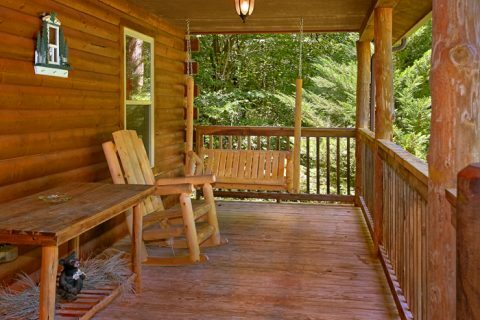 This easily accessible cabin enjoys a beautiful setting that is close to the most popular attractions in the Smokies, you'll have no shortage of fun things to do and see during your getaway! 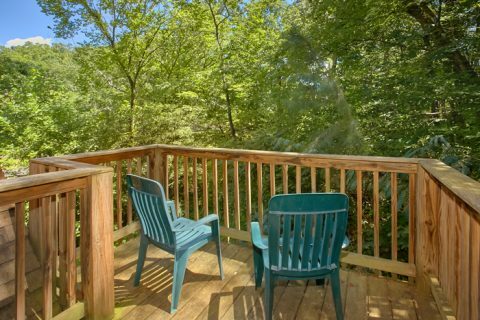 Your cabin in the Smoky Mountains sleeps 6 guests in comfort, so it's just the right size for a family vacation or a getaway with friends. 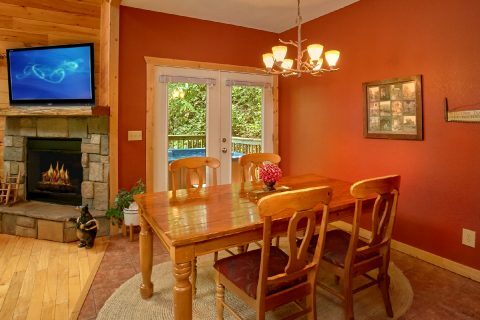 Step inside the stylish living area and you'll find a comfortable space for spending quality time with your family. 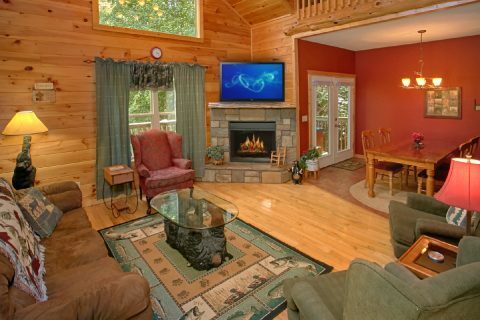 Complete with an electric fireplace, sleeper sofa, and television, you'll love resting in this cozy living room. 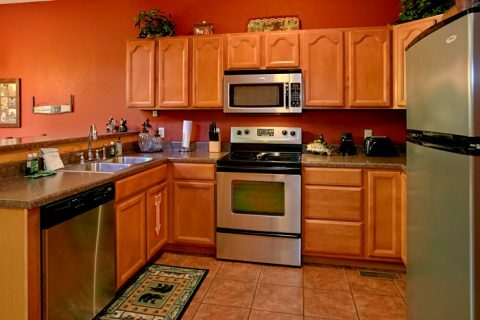 Nearby, you'll find a full kitchen with modern appliances that make preparing meals a cinch. 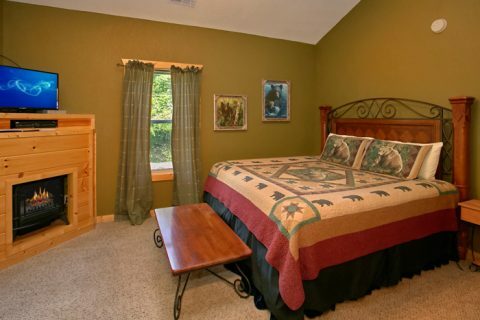 The master bedroom with a king-size bed, full bath, and jacuzzi is also on the main floor. 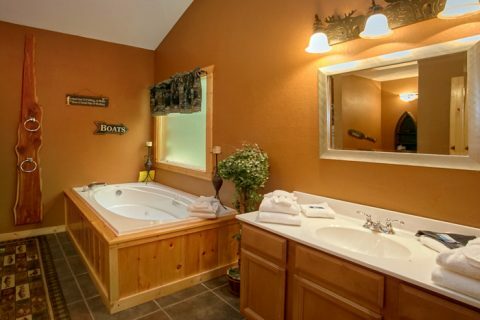 An additional sleeper sofa in your cabin allows this vacation retreat to sleep 8. 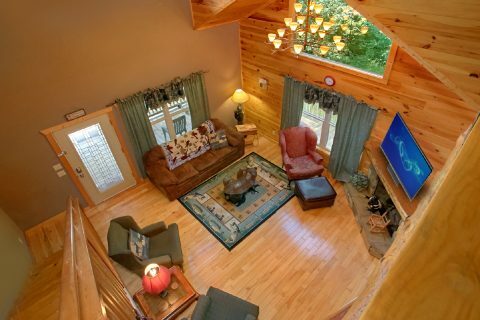 Upstairs, this cabin close to Dollywood features a loft with a game room and a sleeper sofa that the kids will love. 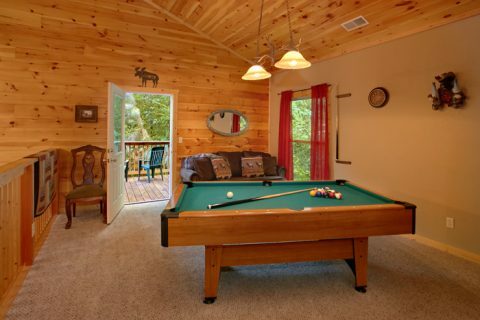 Here, your family or group can play round after round of billiards and enjoy the pleasure of each other's company. 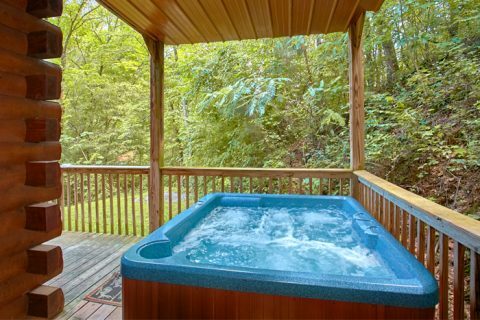 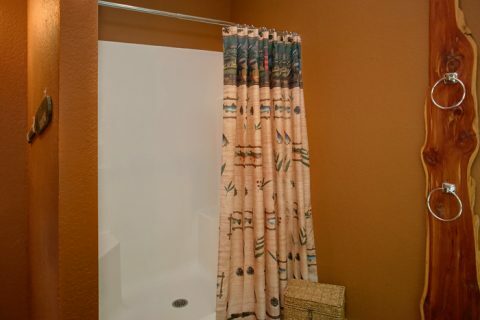 For more fun and relaxation, step outside onto your 2-bedroom cabin's porch where you can take a soothing dip in the bubbling waters of your hot tub. 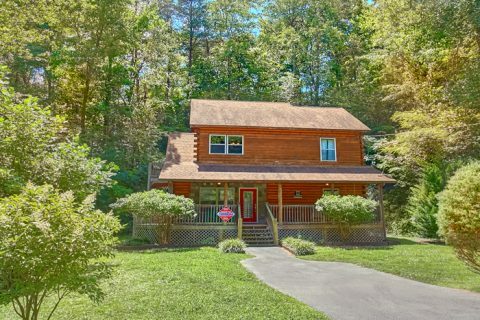 Lastly, this cozy cabin comes complete with practical amenities like WiFi Internet, a washer/dryer, and a nice yard area for enjoying the great outdoors! 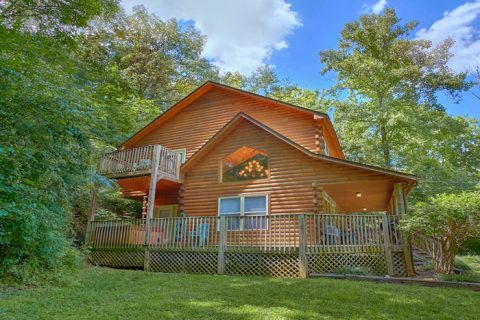 Don't forget to book online with Cabins USA Gatlinburg to save 15% on your 2 bedroom cabin close to Pigeon Forge and Dollywood. 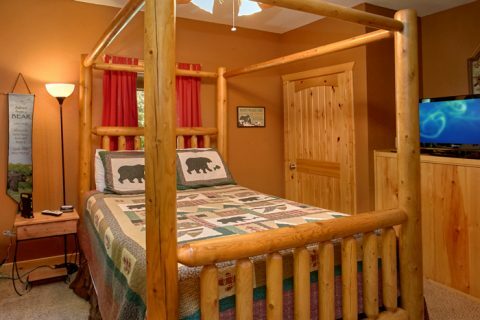 Great vacation savings and wonderful memories await you at "Pigeon Forge Hideaway."